The focus of this learning aid is to provide a strategy for breaking down a story, like Humpty Dumpty, in order to improve comprehension. It focuses on literacy and the basic plot points like who, what, where and when. 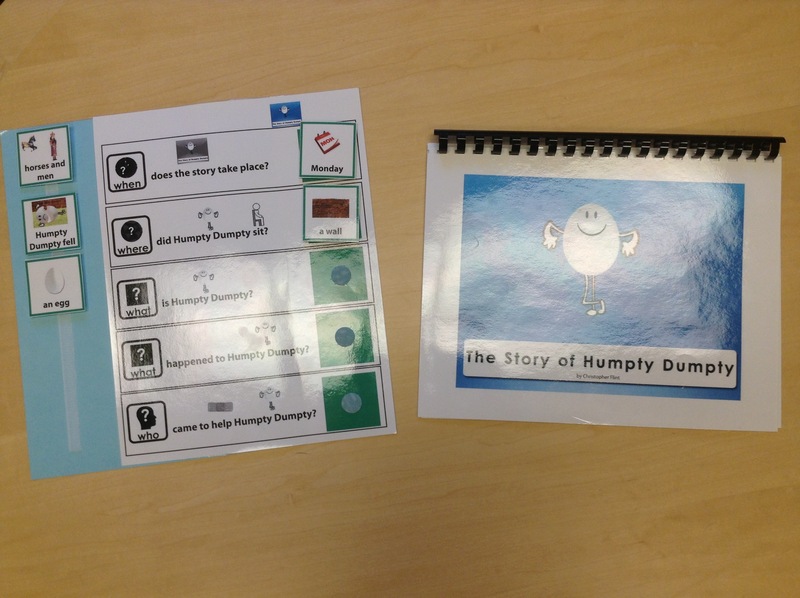 This kit includes matching Velcro pieces, a matching chart and a bound copy of the story of Humpty Dumpty. This entry was posted in Learning Aids, Our Library and tagged Autism Spectrum Disorder, Humpty Dumpty, literacy, story. Bookmark the permalink.